RADNOR TOWNSHIP, Pa. (WPIX) — A teacher at a Pennsylvania school is accused of sexually assaulting a former student, 16, who she called "her girlfriend" and writing more than 30 love letters to her detailing their relationship. 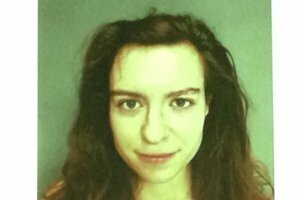 Nina Scott, 28, was arrested Wednesday and charged with 34 counts of institutional sexual assault of a minor and corruption of minors and two related charges. Scott allegedly met the teenage girl when she was a teacher at theVillage, a court ordered child care facility in Radnor Township, The Philly Inquirer reported. The student said the relationship started when Scott wrote, in a note, how she would feel about a kiss, according to the criminal complaint. The student said she promised to not tell anyone and the two kissed inside the classroom. From last February to October, Scott would sexually assault the girl in the classroom in her car and at her home, according to the criminal complaint. The girl left the school, but Scott would then write more than 30 letters to the girl and mention her as "her girlfriend." She called her 2-year-old daughter "our baby girl," and in one letter, said she was "rolling over in [her] bed and missing [the student] because she was not here," the criminal complaint read. Many of the letters would be signed "Pretty," police said. Staff members at the Mid-Atlantic Youth Services facility found the letters from Scott and a journal inside the girl's room. In the journal, the former student referred to Scott as her "future wife," "the love of my life," and "good in bed," the criminal complaint reported. Staff members reported the letters and journal to police in October. Scott was suspended at theVillage after officials learned about the abuse allegations. She was fired in December, the Philly Inquirer reported.